This is officially the most pregnant I have ever been. Dylan arrived at 38 weeks without any intervention and I had been so busy in the weeks leading up to his birth that I never took the chance to take that last pregnant photo or go on a last date night. I was expecting my first baby to be late as you are so often told they will be, but was very happy to see him arrive early considering he was a healthy 8lb10oz. I am currently 39 weeks pregnant with baby Squish and I am starting to see why people are not a fan of the last few weeks. It feels like a waiting game now, and every morning the bloke is begging for labour to start as he is desperate to start his paternity leave! Every night I go to bed wondering if this is the last night I will be sleeping on my left side with pillows wedged all around me. The aches and pains are starting to become more constant and my nightly bath is a welcome relief after a day of activities with an energetic toddler. Squish's room may not be ready but the important bits are done and his moses basket sheets are washed and ready. My hospital bags are packed and the car seat is ready to bring home our new little man. My mum is waiting for the call to come and collect Dylan and the bloke is keeping an eye on his phone for the message that he needs to come home from work and get to the hospital. It is a waiting game, and I fear I may get a bit impatient! Due date is still a few days away but as Dylan was early, I am constantly met with surprise when we go out that I don't have my new baby boy with me. The texts have started arriving checking for news of the new arrival and there is only so many times you can reply no without wondering when the day will come. But it is a waiting game now. In the next three weeks I will definitely meet the fourth member of our family - hopefully much sooner than that but for now I am trying to make the most of every last minute with my gorgeous little boy before he becomes my gorgeous big boy! 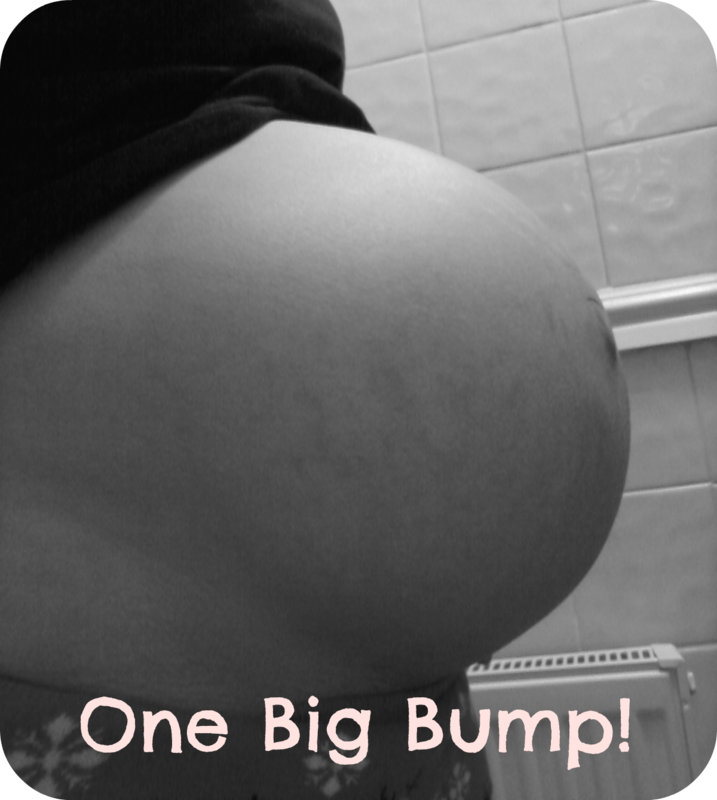 Looks like Squish will be arriving very very soon! Those messages and calls asking if there is any news absolutely drove me mad...as if people wouldn't hear the news when the time arrives?!? !